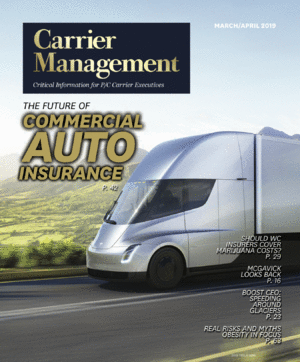 In the 1990s, even when it took a slow dial-up connection and less sophisticated search engines to maneuver the information superhighway, there was discussion of how the Internet could impact future businesses like insurance distribution. The future of insurance distribution will be customer-driven and omni-channel—and intermediaries will play a key role. But instead of primarily processing simple coverages, agents and brokers will be more likely to partner strategically with carriers in order to meet the needs of the highest-value segments of the market, drive profitable growth and effectively manage risk, says PwC's Marie Carr. I was a part of numerous conversations and meetings where the prevailing thought was that insurance intermediaries (i.e., agents and brokers) were soon going to disappear because buyers would go online and purchase directly from carriers. There was also a large degree of channel conflict as intermediaries contemplated what it would mean if carriers leveraged Internet technology to go directly to consumers. However, over the last 20 years, while there has clearly been an increase in direct insurance sales, it has not resulted in the extinction of the insurance intermediary. Instead, insurance distribution has become omni-channel, with buyers able to move between channels for shopping, purchasing and service depending on the desired product and their specific needs.